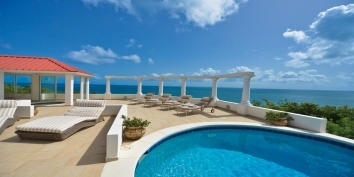 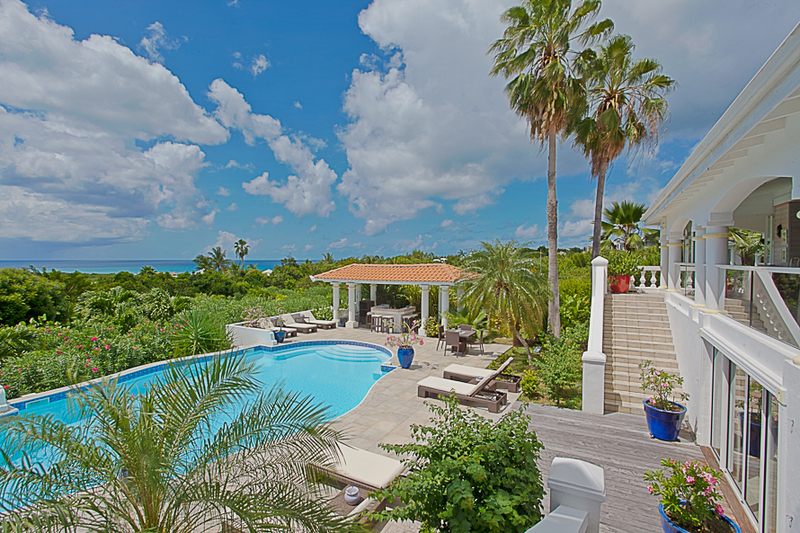 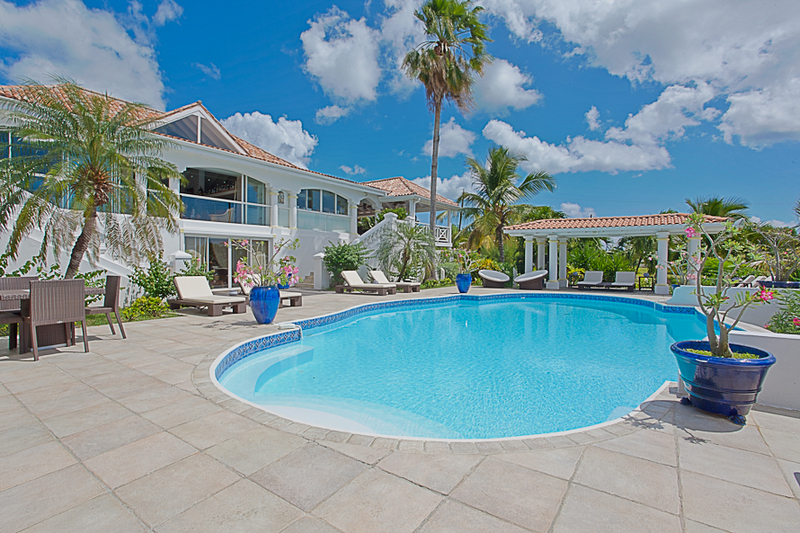 A beautiful 5 bedroom, 5 bathroom, hillside villa with huge pool, poolside bar, a dining and sitting gazebo to enjoy the magnificent Caribbean views! 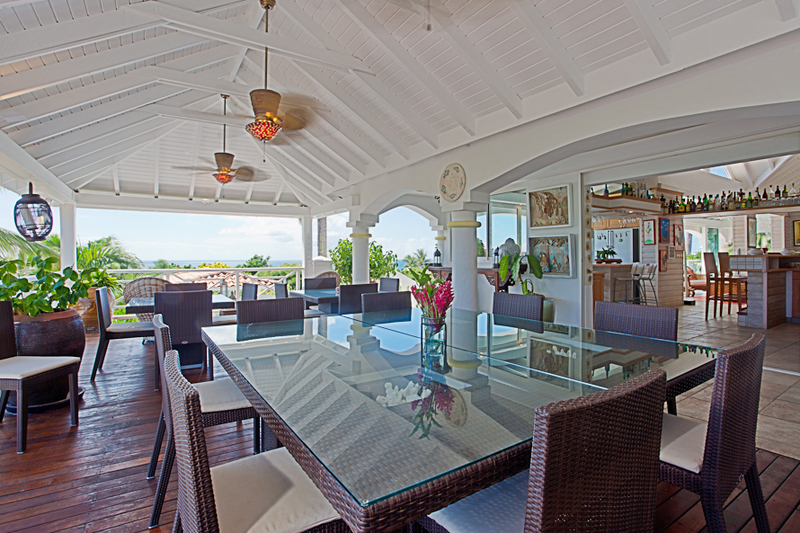 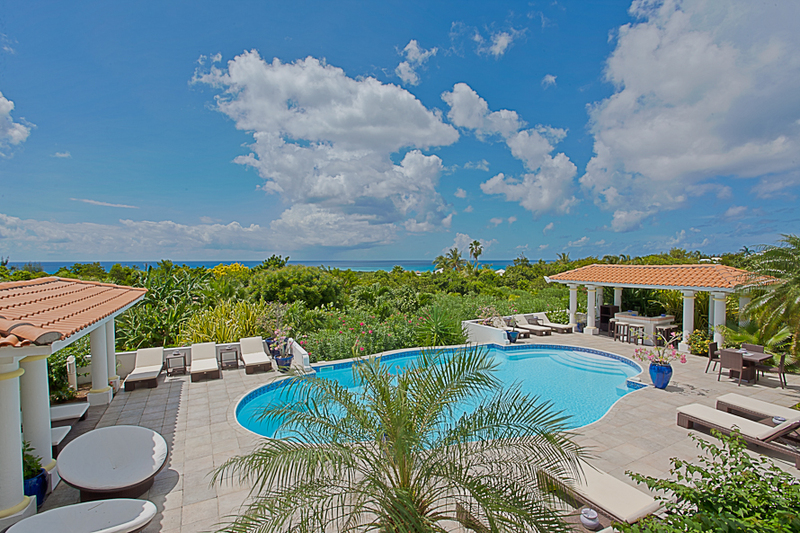 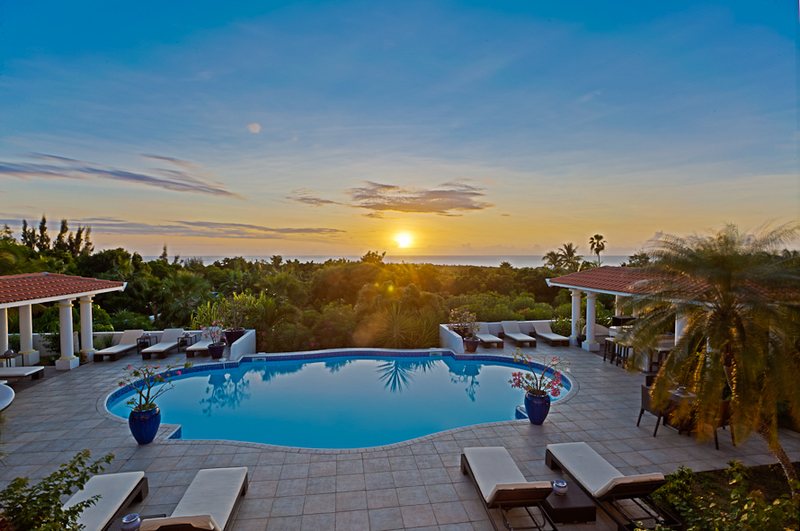 Located on a hill with a gorgeous view, Pamplemousse villa offers ample space for a large family vacation or group of friends on Saint Martin. 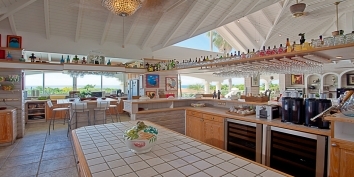 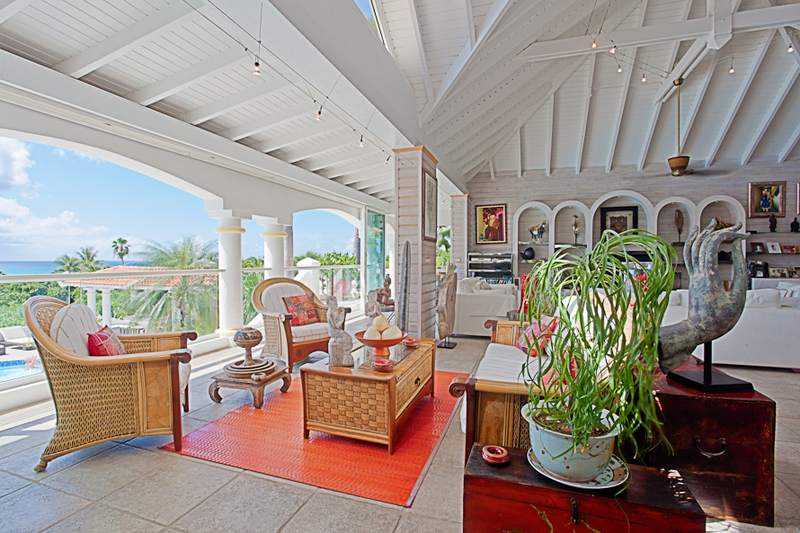 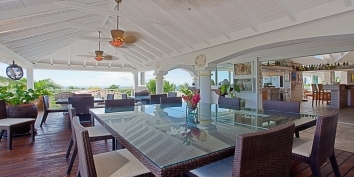 A huge pool, poolside bar, dining and sitting gazebo adjacent to the kitchen and fantastic sunsets combine to give this Saint Martin villa rental its own special charm. 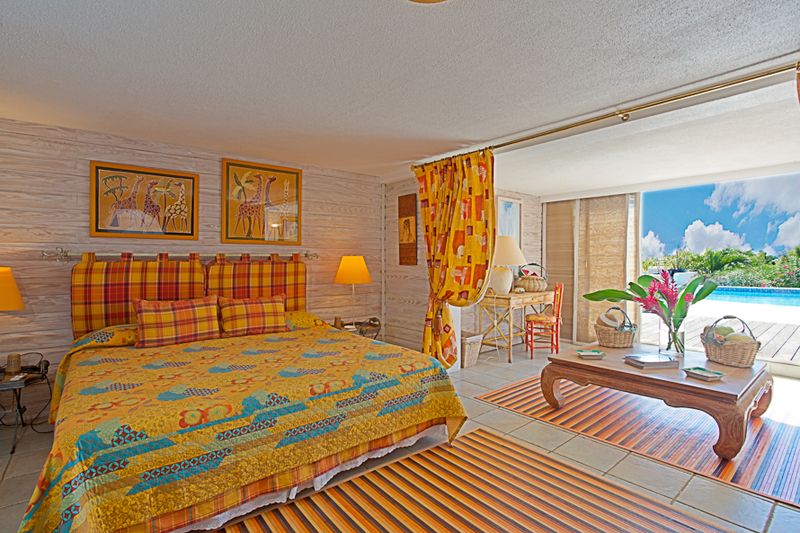 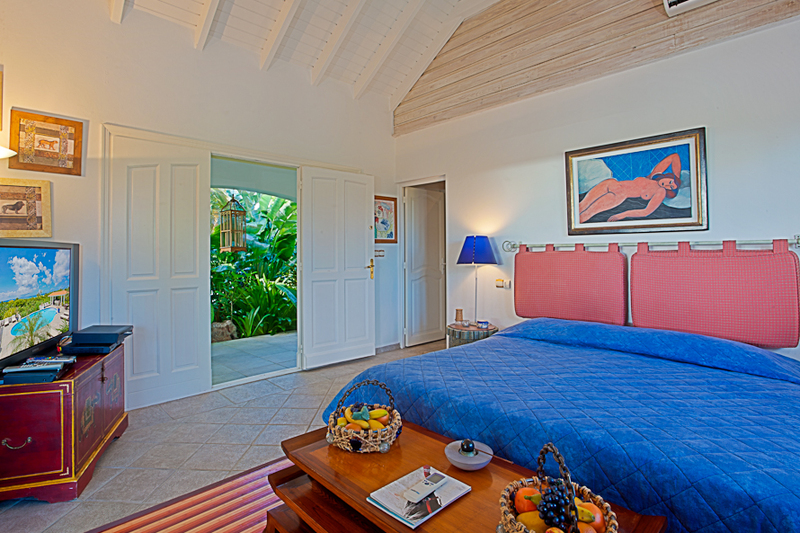 Pamplemousse has added a brand new fifth master bedroom with large en-suite bathroom. 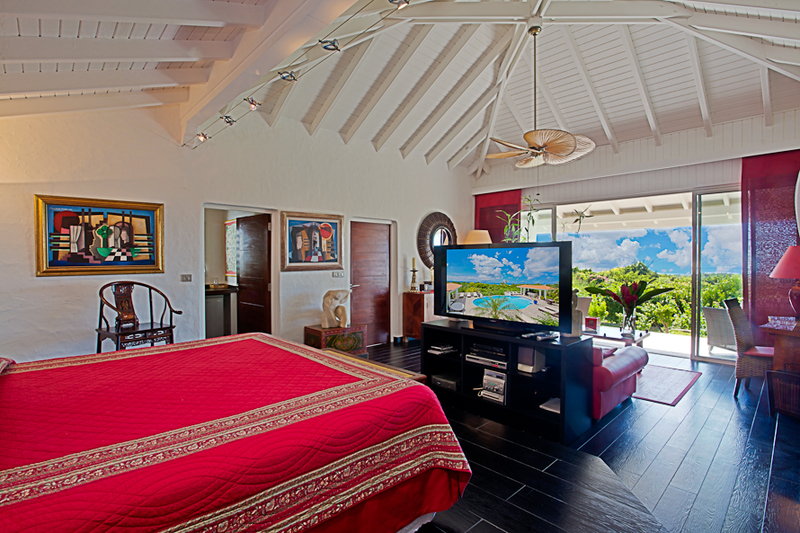 It also features mini-fridges, Plasma TV and DVD in all five bedrooms and a large plasma TV in living room. 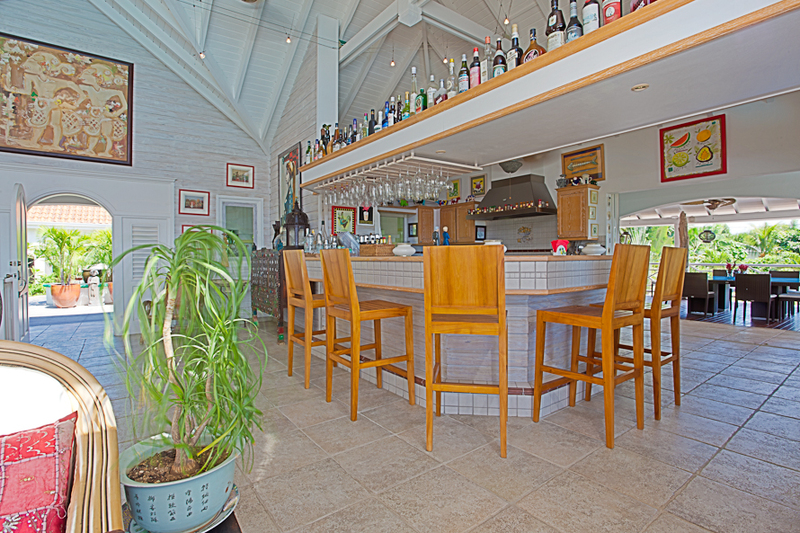 Living and kitchen areas are now also fully air conditioned. 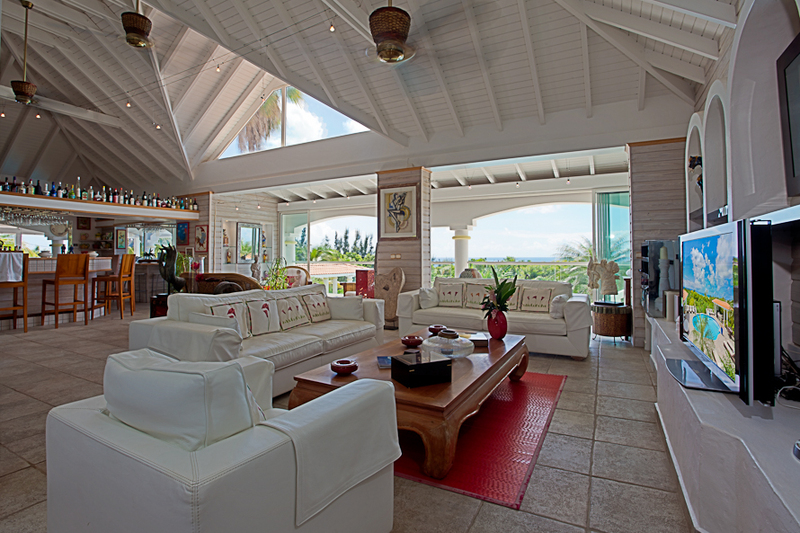 New decoration throughout. 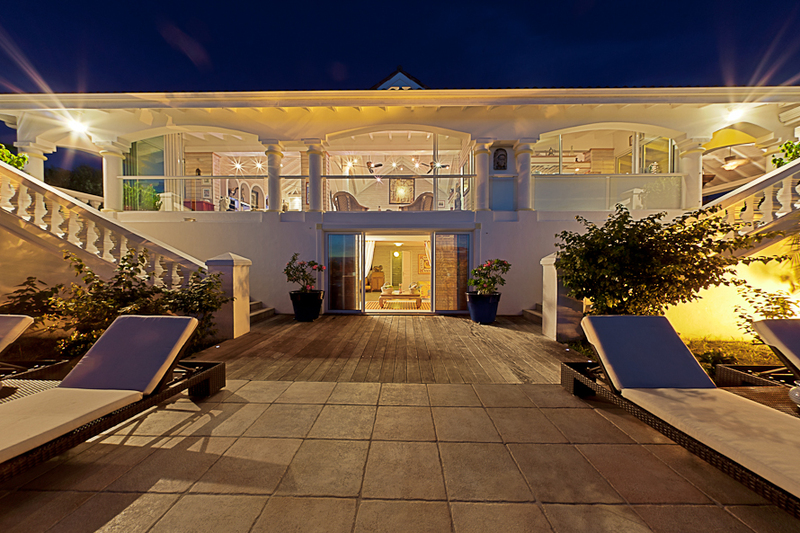 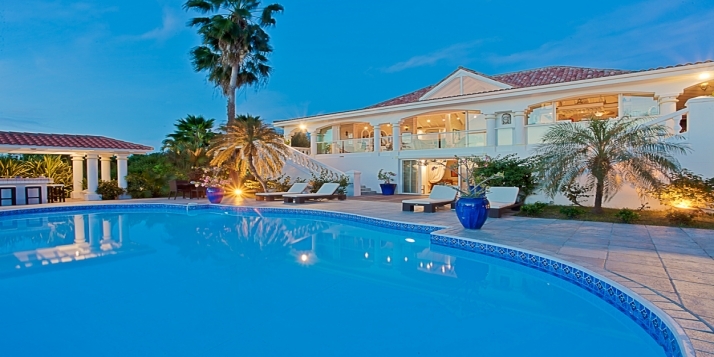 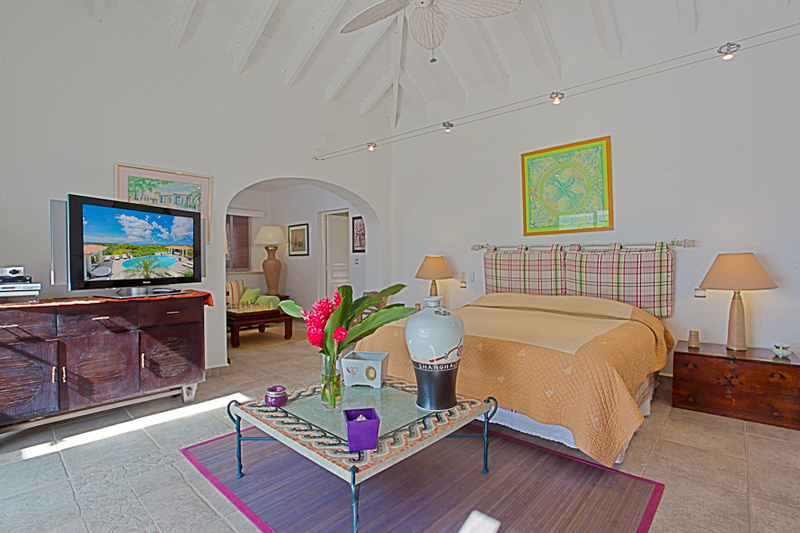 Pamplemousse can be rented as a 3, 4 or 5 bedroom St. Martin holiday villa. 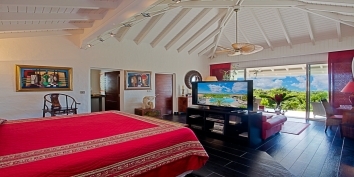 All bedrooms have king size beds, private shower baths, Plasma TV & DVD, fridge, air conditioning, and ceiling fans. 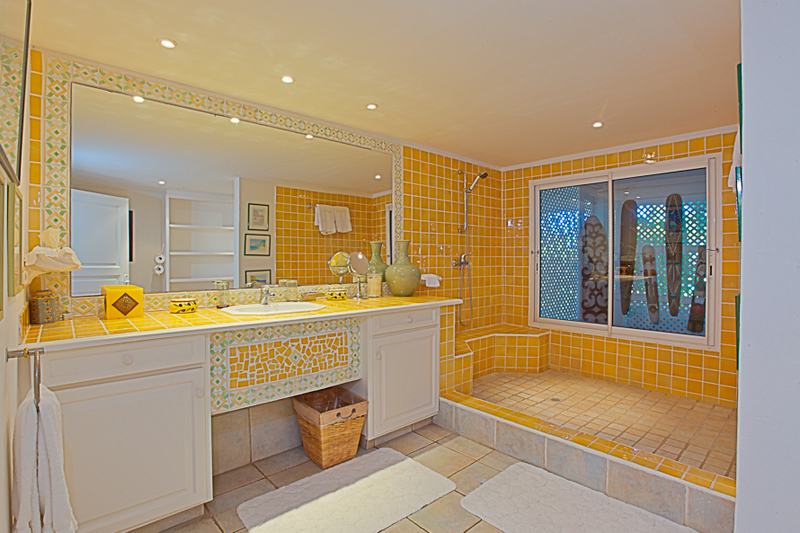 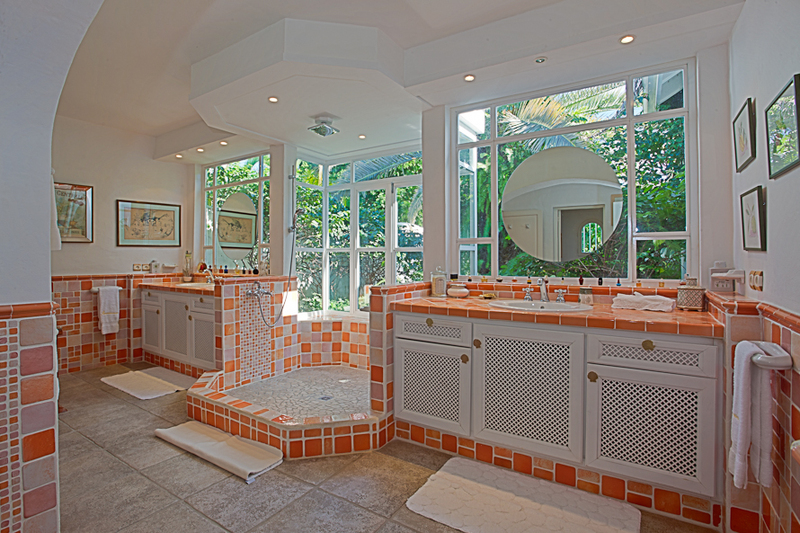 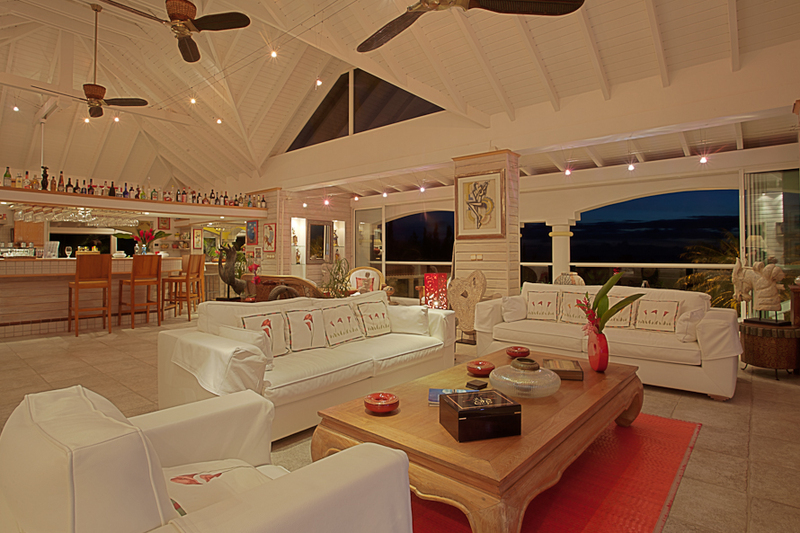 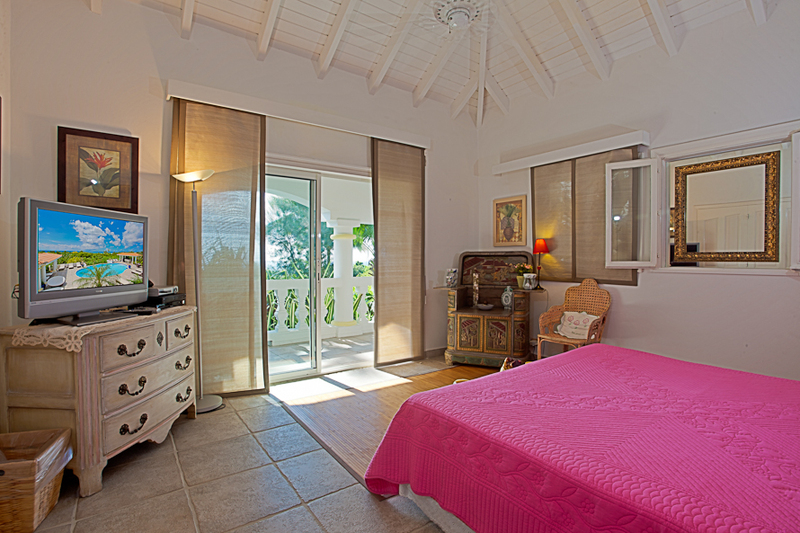 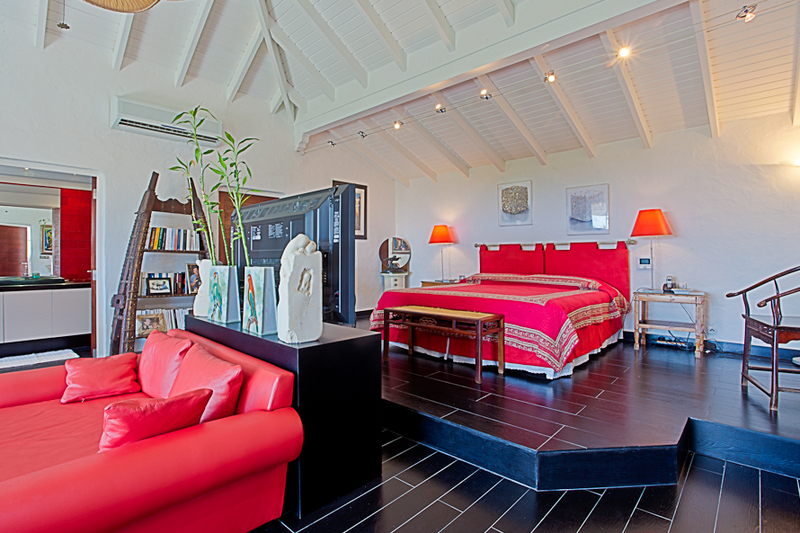 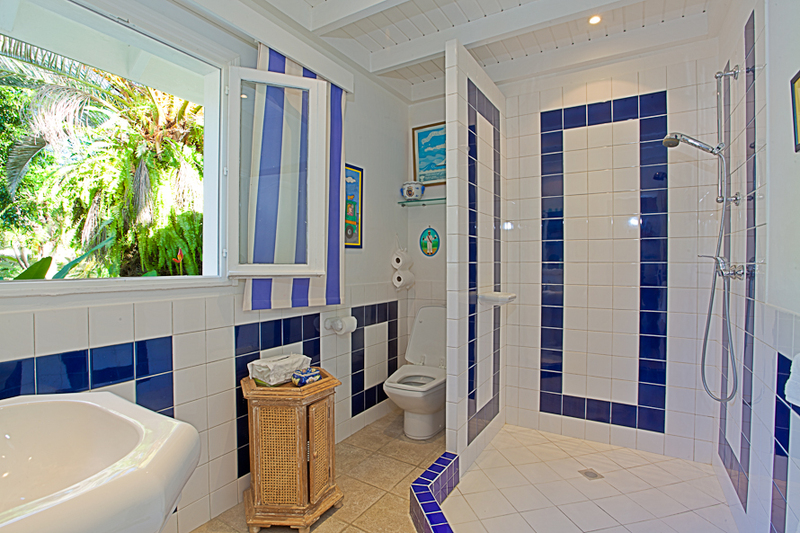 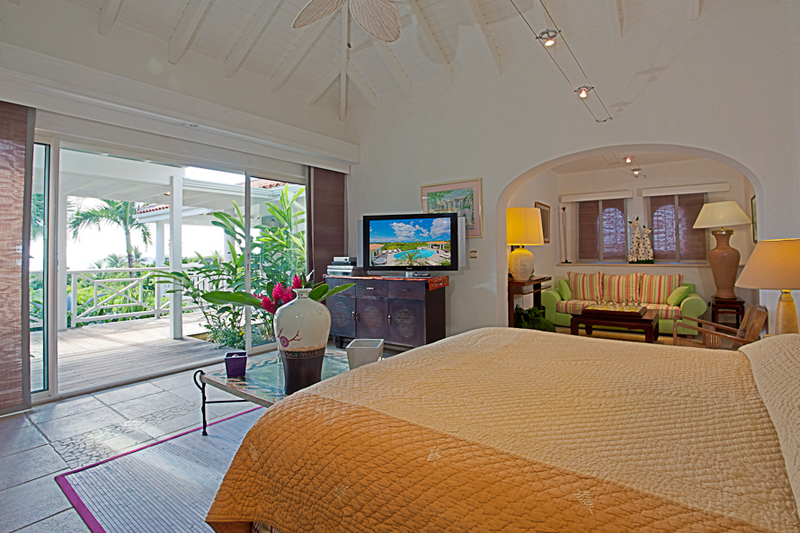 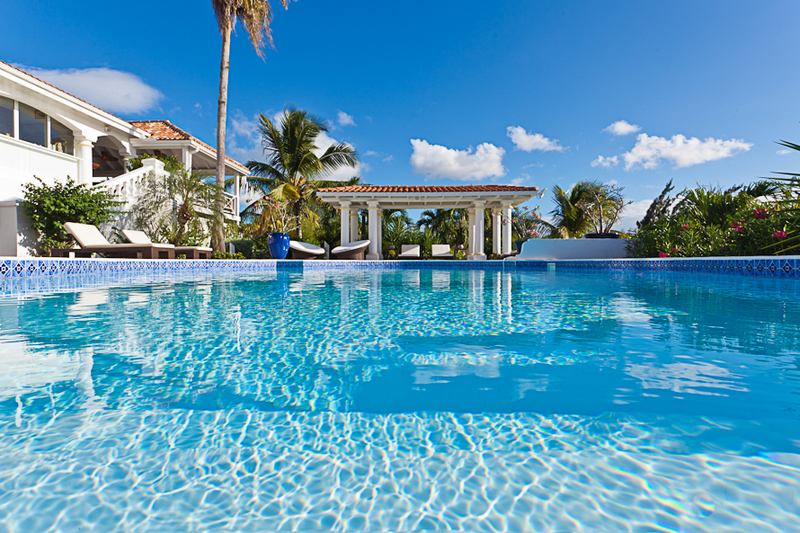 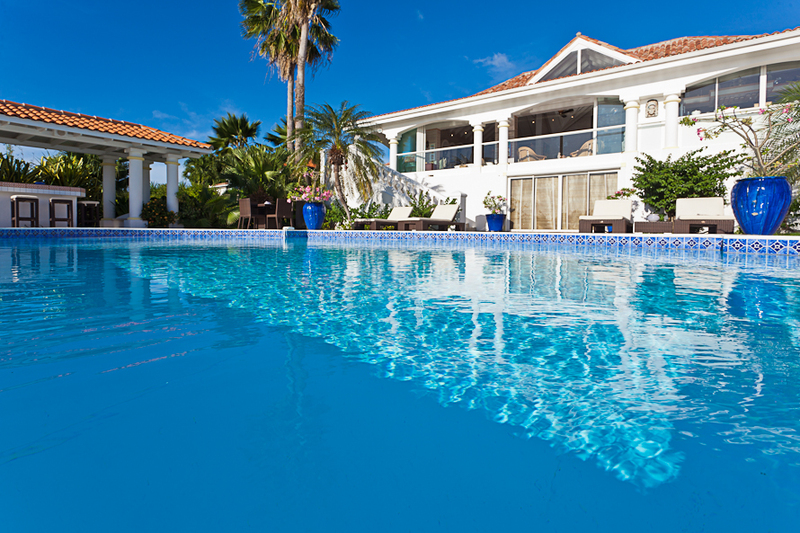 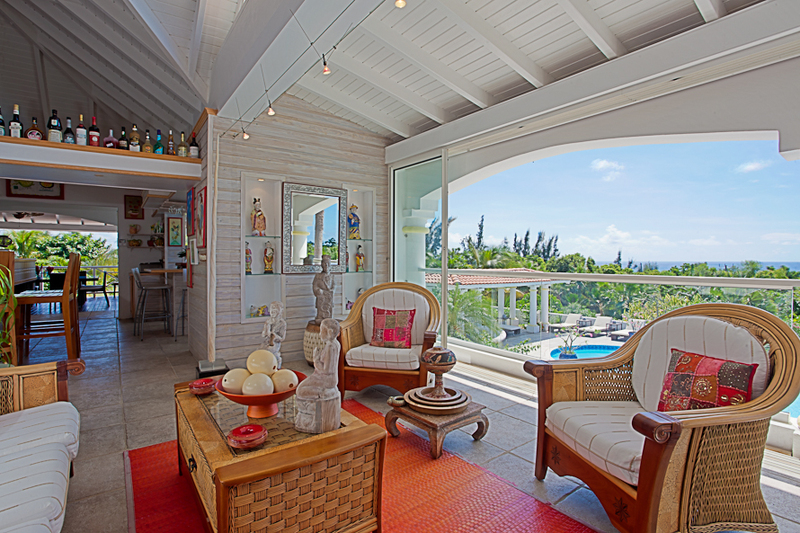 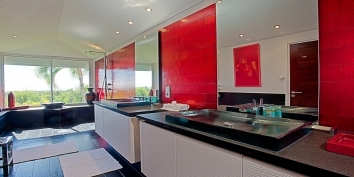 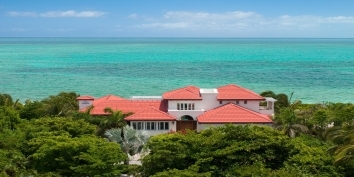 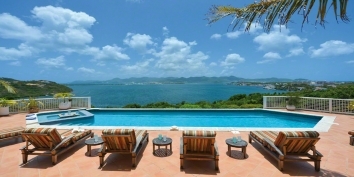 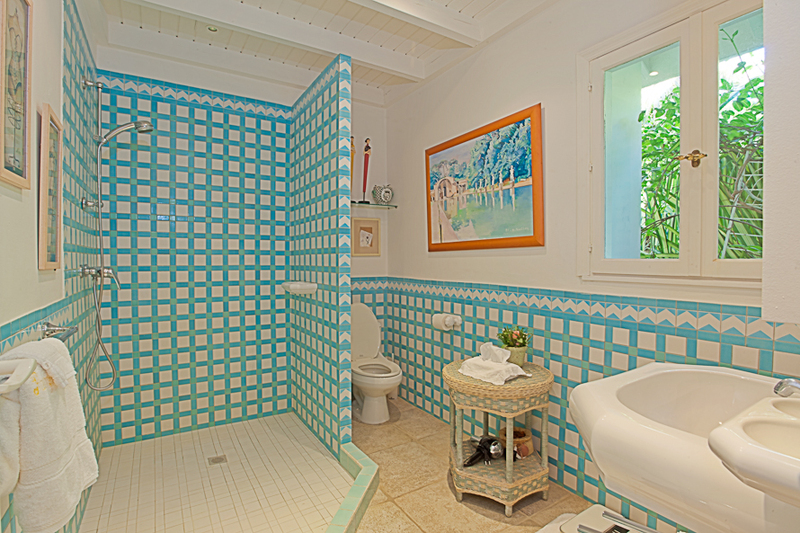 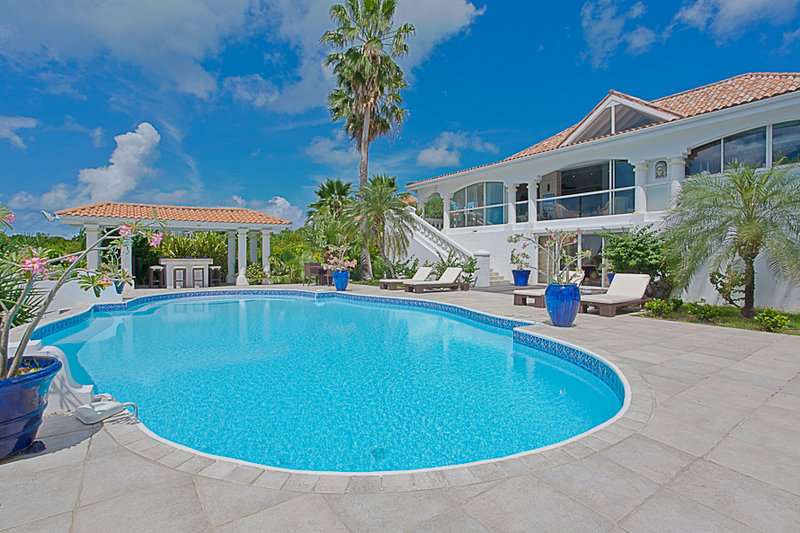 Pamplemousse can be rented as a 3, 4 or 5 bedroom St. Martin vacation villa. 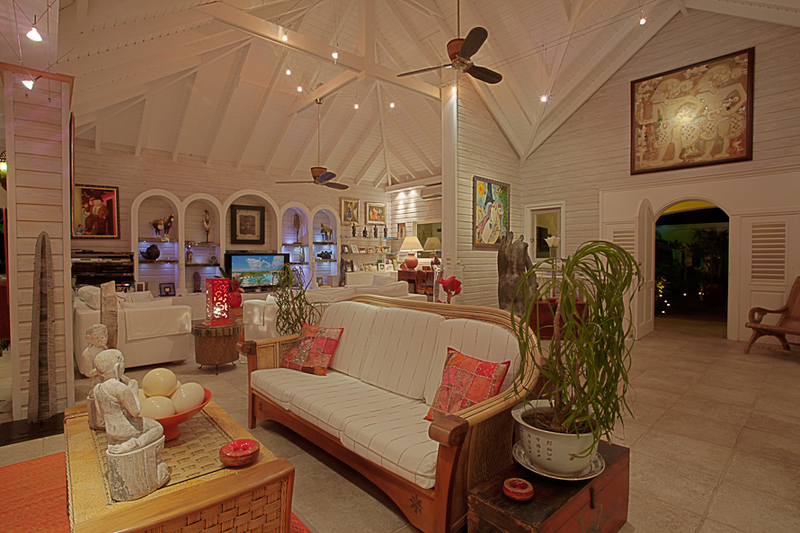 Contemporary and comfortable furniture, large Plasma TV, DVD, CD/Tape, air conditioning and ceiling fan. 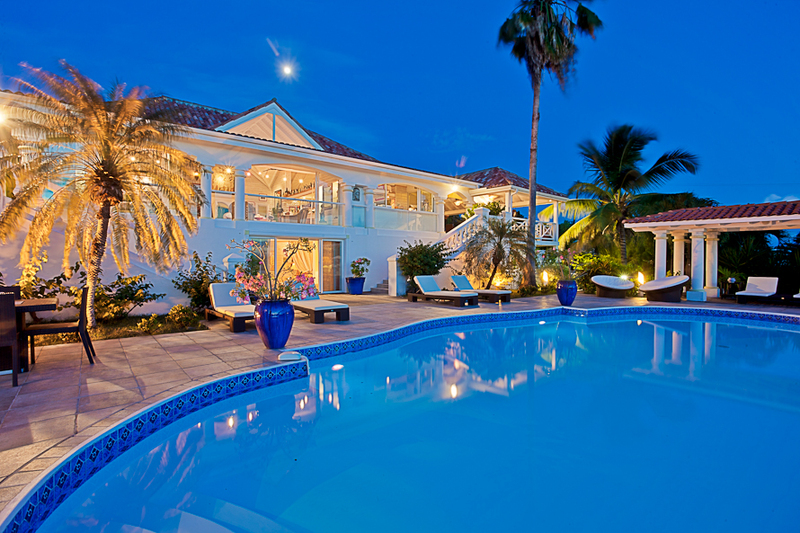 • To Nearest Grocery Store: 5 min drive.